This book contains love, adventure, magic, competition and fantasy. I did enjoy this book. Although I read it at a very slow pace. (It took me two weeks to finish). 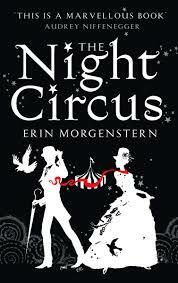 This story follows a circus and focuses on two magicians who are in a competition to prove who is the best. They are not told who their competitor is. and by controlling the circus. The overall story is good as well as the writing and the imagination of the author.